GP - Island location, Nr Brisbane - earnings c.$300k + per annum - DWS Exemption! Located mid-way between Brisbane and Sunshine Coast. 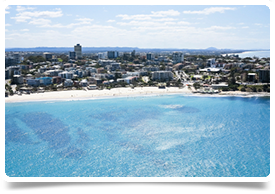 We’re recruiting for an experienced GP who would like to join a lovely family style practice in town on the northern outskirts of Brisbane, just 40 minute drive from the city centre and 15 minutes from the coast. The practice has been recently acquired by a very experienced medical centre manager and will be up and running from November. This is a purpose built medical centre and can accommodate 10 doctors in total. This is a mixed billing clinic who has a very strong ethic that the doctor is looked after and will be happy working here long term. Full time nurses will help with care plans, there will be receptionists, an experienced practice manager and onsite exercise physiologist. The doctors will have spacious air-conditioned rooms, separate nursing room for ECGs, Spirometry, EPC and Care Plan Support. It’s modern and will be fully computerised. Doctors do a lot of chronic disease management and experience in minor surgery / skin work would be beneficial. Opening hours will be Monday to Friday 8am – 5pm. Weekend hours may be introduced and would be on a shared roster. Appointments are booked at 15 minute appointments and it’s expected that most GPs will see on average 35 patients per day. Located in a township with a busy shopping area – this DWS practice is just 40 minutes from Brisbane CBD, 15 minutes from the coast and 45 minutes from Sunshine Coast.